Home » Make Money Online » Do you Dream to Earn More with Online Surveys? As the technology has evolved, so has the internet. It has endowed a great impact on the business sector. And one such powerful impact is its provision for online paid survey. Such survey is probably the most easiest and time-effective way to gain additional money online. The majority of the people are looking forward to make money from online surveys. However, when an individual joins several survey panels, they gradually realise that they do not have enough time to take up all of the surveys they receive and ultimately lose out those extra pennies. Well, this is normal but not to that extent when it becomes difficult to manage the important surveys. Your time is valuable and so is the money. Therefore, there should be a way out to maximise your ability to earn more money from online surveys. 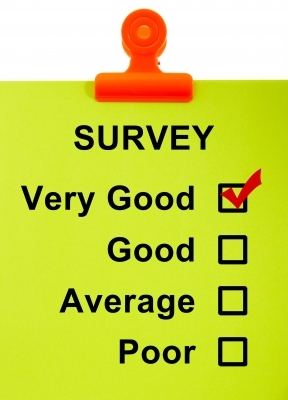 How will you maximise your potential income from online surveys? Target those sites that have high ratings for pay-outs. It is recommended to join at least four survey panels every weekend. Once you reach this goal, you will start receiving daily surveys from which you can pick the ones with better incentives and that does not consume much time. Joining multiple sites is a good idea until you get your priority list of panels that are appropriate for you. However, do not cancel your membership with survey panels with one bad experience. Instead gauge the panel every 6-12 months of subscription. Also it is important to know the survey history before you opt for one. Your profile detail is key to receive invitations from survey panels. The information will include your workplace and employment, home and family background, your hobbies, internet activities, health and wellness, entertainment and leisure, video and computer game, sports, vehicles, household technology and many more to add. The survey panels match the profile of survey takers with the products and services being assessed. Therefore, you are less likely to receive any invitation that does not match your profile. As it is quite frustrating to spend your time on a survey only to find out that you do not qualify for the same. Also it is important to update your profile as and when required. All online survey panels send invitation to your email account. Do not login to your account only when you receive invitations. Instead check them on a daily basis and respond to them quickly. In addition, be fast while taking surveys as it enable you to take more of them in a given period of time. Do not take too long to complete a survey as this may leave you disqualified. Some survey panels have point systems that need to be understood. This point system will help you to decide which surveys are important and which are not worth of your time. Once you are clear about the point system you can set up maximum number of points to take a survey from each panel. Taking online surveys can be fun especially when you make a little extra cash. So,take out a few hours from your daily schedule to participate in surveys. Equally it is important to prove yourself as a trustworthy member who devotes time to answer all the questions honestly and provide valuable opinion. The panels need to be sure that you are consistent and active as soon as you fill up your profile details. Following these simple guidelines can undoubtedly raise your chance of profiting from your effort and time spent after online surveys. If you are looking for a legitimate site, check out Crowdology website to take paid online surveys.